The following is a restorative yoga sequence designed during the Yapana Being: Restorative Yoga Training with Leeann Carey. It includes progressively quieter backward-bending poses to relax the body while expanding the front of the body and chest for access to a deeper breath. All postures can be found in Leeann's book, The Yapana Way. This tested and student-approved sequence is designed to help sore athletes (or yogis) recover after a hard workout. All postures (and additional sequences) can be found in Leeann Carey's book on restorative yoga, The Yapana Way. Reclined Big Toe Pose I. 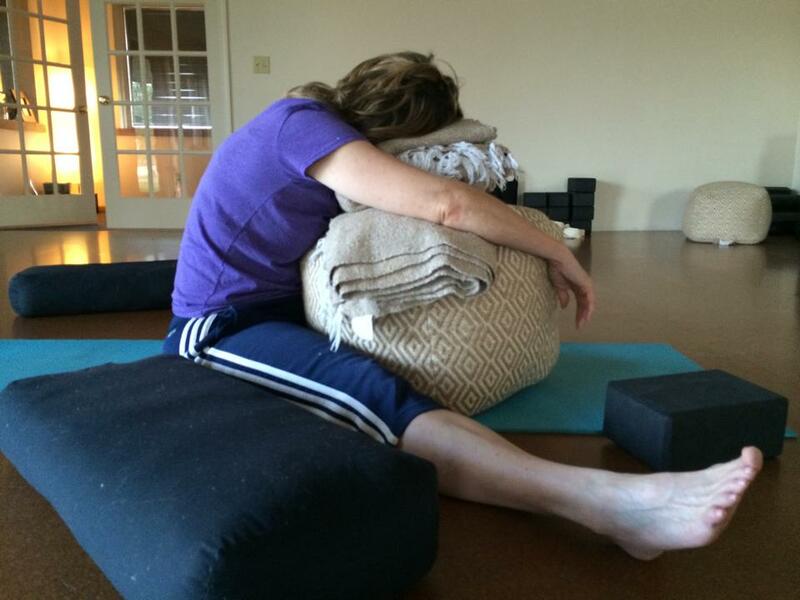 This is a tried and true sequence of restorative yoga postures that my group designed during the Yapana BEING: Restorative Yoga Therapy training with Leeann Carey. It begins with "louder" full body postures for general opening, and winds down through quieter backbending and inverted postures to a deep rest in final savasana. All postures and variations can be found in Leeann's book, The Yapana Way.